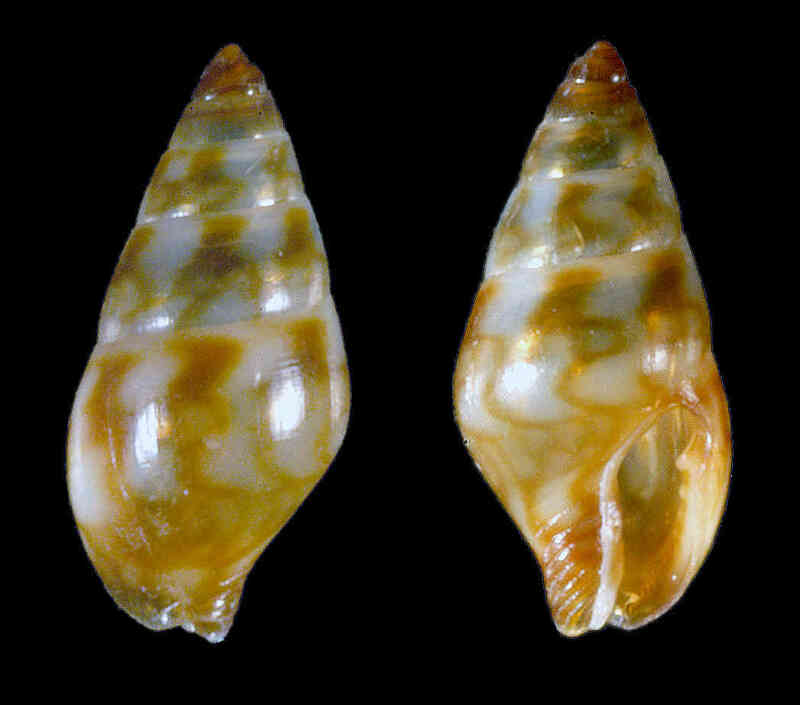 Shell size to 5 mm; shell biconical. Surface smooth, glossy. Shell base with fine, incised spiral lines. Aperture narrow. Outer lip internally with four tooth-like projections. 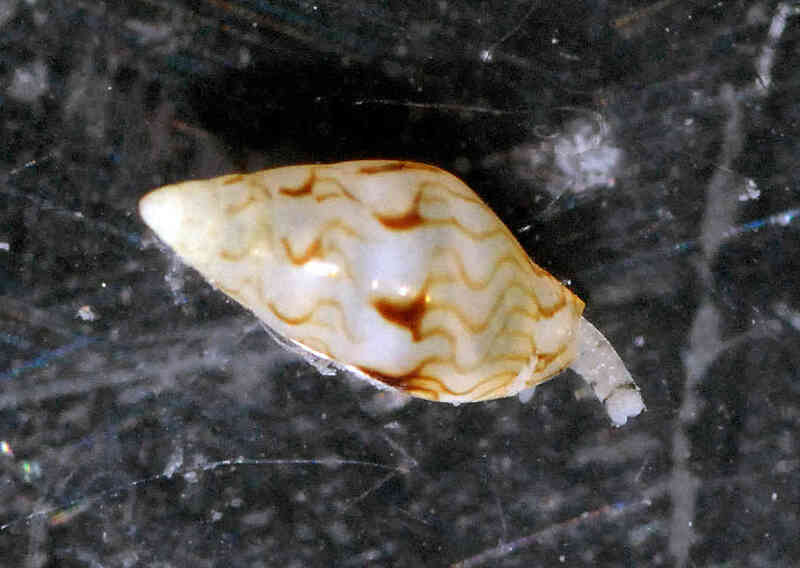 Color tan with crescent-shaped brown markings. This is a highly variable species throughout its distribution range. 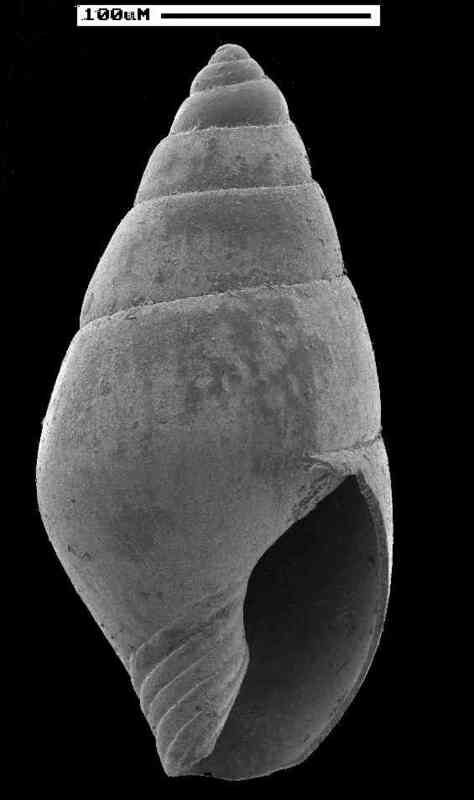 The additional picture (SEM) shows the protoconch and also how little detail there is to the shell sculpture in this species. The live animal was collected after a storm on seaweed, on Sanibel, January 2015.